At CTS Horizons, we strive to ensure that our tour operations leave a positive impact on local communities and the environment. We believe that those of us involved in the travel industry have exciting opportunities to support sustainable tourism projects, from collaborating with environmentally-aware ground operators to community outreach programmes to saving endangered animals. As a responsible tourism operator, we understand our grave responsibility to ensure we tread lightly on our travels, by reducing the carbon footprint of our trips and enhancing the environment around us. We aim to foster international exchange and understanding by immersing clients into local culture. For every tour booked, we make a donation to a charity. ​ We constantly strive to find environmentally-aware operators in our destinations. For example, we support the Sacha Lodge in the Amazon Rainforest (set within a 5000 acre private ecological reserve), the Inkaterra Machu Picchu Pueblo Hotel in Peru (a 100% carbon-neutral company supported by the National Geographic Society). ​We actively promote Responsible Tourism practices to our suppliers around the world. We work closely with hotels, guides, transportation firms and other travel-related companies, setting high standards and ensuring our partners do their best to meet our expectations. ​We invite all our clients to spread the message of Responsible Tourism practices by discussing ideas directly with our guides and hoteliers, and offering constructive comments on local questionnaires. Pandas are perfectly adapted to do two things: eat bamboo and steal hearts. Wild pandas live in only one place on Earth: the mountains of Southwest China, where the one food that guarantees their survival, bamboo, grows in abundance in Sichuan. Pandas share this area with numerous other plants and animals unique to the region. Unfortunately this special place is subjected to many threats and pandas are losing their home. The remaining population of wild pandas – perhaps as few as 1,600 adults – live in scattered patches of bamboo forest that have been isolated by farming, logging, road construction, dam building, urban expansion, and tourism development. The situation is made worse by the earthquake which hit Sichuan Province hard in 2008. Climate change poses a further threat to panda habitat. As temperatures and rainfall patterns change, so will the availability of bamboo. If food becomes unavailable in the isolated patches where pandas live, they have nowhere else to go. Pandas could forever disappear from the wild. This fact forces all of us who have been touched by the serene beauty of these majestic animals to ask ourselves, what kind of world we are leaving for future generations? Can we really do nothing while an animal this precious vanishes? Conservation International (CI) has an ambitious but achievable agenda for protecting the wild panda. CI’s China program is working with panda guardians – scientists, nature reserve staff, and local communities – to join hands in securing and connecting panda habitat so that the pandas will have a healthy and vibrant wilderness to call home. In partnership with Conservation International, we offer all our customers the opportunity to support their panda protection project by making a voluntary donation of £15 per person which will be added to the tour invoice. You may opt out by ticking the box on your booking form, which will remove this sum from your invoice. The donation will be allocated to the initiative’s Infra-red Camera Project, one of the most effective means to help detecting and protecting the much adored Pandas amongst other habitat in Sichuan Province. ClimateCare is a company that reduces greenhouse gases on behalf of individuals and organisations, to compensate for their impact on the climate. ClimateCare uses funds to reduce emissions through energy efficiency and renewable energy projects around the world. Should you wish to make a payment to offset carbon emissions from your tour, visit www.climatecare.org. We have been awarded the AITO three star responsible tourism status. To gain the three stars the company must successfully implement and continually improve a responsible tourism policy, and must also undertake a specific project which contributes to the economy, culture or environment of a destination. Looking for something tailor made? 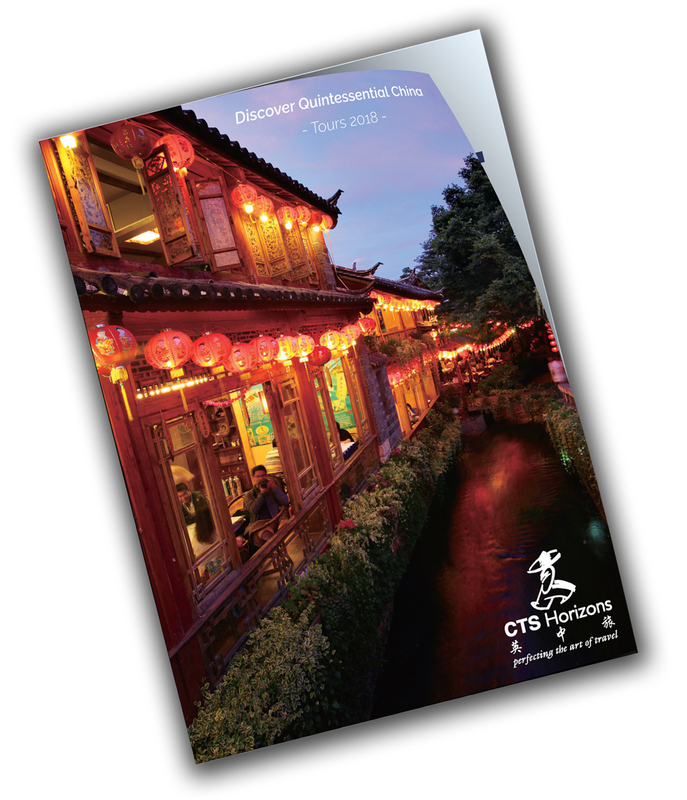 If you have a particular itinerary in mind our specialist advisors will be very pleased to help you design it completely in accordance with your own requirements.